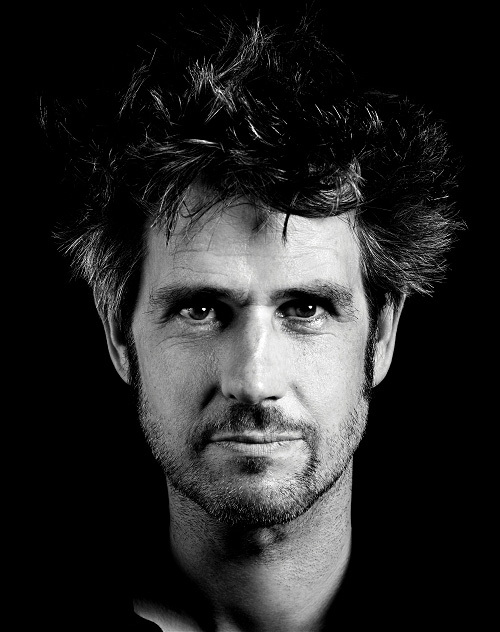 With his films, such as “The German Chainsaw Massacre” and “Terror 2000”, art installations, exhibitions and activist projects, such as among others the container action “Please love Austria!”, as well as the establishment of the party CHANCE 2000, Christoph Schlingensief (1960–2010) was steadfastly involved in the cultural and political discourse for over two decades. His topics consistently circled around the question of God, the redemption and the meaning of all art. He realised numerous acclaimed theatrical plays and operas, such as “Art and Vegetables, A. Hipler” at the theatre Berlin Volksbühne and the “ATTA trilogy”, at the theatre Volksbühne, at the theatre Burgtheater in Vienna and at the theatre Schauspielhaus Zurich. Highlights were “Wagner’s Parsifal” in Bayreuth, from 2004 through 2007, as well as “The Flying Dutchman” at the legendary Opera Manaus, in 2007. His Fluxus Oratorio, “A Church of Fear vs. the Alien Within”, was premiered within the framework of the Ruhr Triennial, in 2009. He was repeatedly invited to the Theatre Festival “Berliner Theatertreffen” and received numerous awards, such as the “Helmut-Käutner Prize” in 2010. He founded the Festspielhaus Afrika gGmbH and on 8 February 2010, laid the foundation stone for the first Operndorf Afrika in the world, in Burkina Faso, Africa. With “Via Intolleranza II”, Schlingensief staged with artists from Europe and Burkina Faso, the first materialised African Opera Village utopia piece, which was after rehearsals in Ouagadougou and Berlin, performed in Brussels, Hamburg, Vienna and Munich. His “Diary of a cancer” published by the publishing house Kiepenheuer & Witsch with the title “So schön wie hier kann’s im Himmel gar nicht sein!” (It can not be as beautiful as it is here, in heaven! ), in 2009, was ranked for several weeks on the bestseller lists and addressed his handling of his cancer. Schlingensief was not able to implement his plans for the design the German Pavilion at the Venice Biennale, in 2011. Under the aegis of his wife Aino Laberenz, an exhibition of recent works of Schlingensief was instead realised. The pavilion was awarded the “Golden Lion” at the 54th Venice Biennale. Schlingensief was professor of free art at the University of Fine Arts Braunschweig. Christoph Schlingensief died much too early, on 21 August 2010. Further information on Christoph Schlingensief can be found under www.schlingensief.com. Aino Laberenz (born in 1981 in Turku, Finland) is the Managing Director of the Festspielhaus Afrika gemeinnützige GmbH and Foundation Executive Board Chairman of the Foundation Operndorf Afrika. 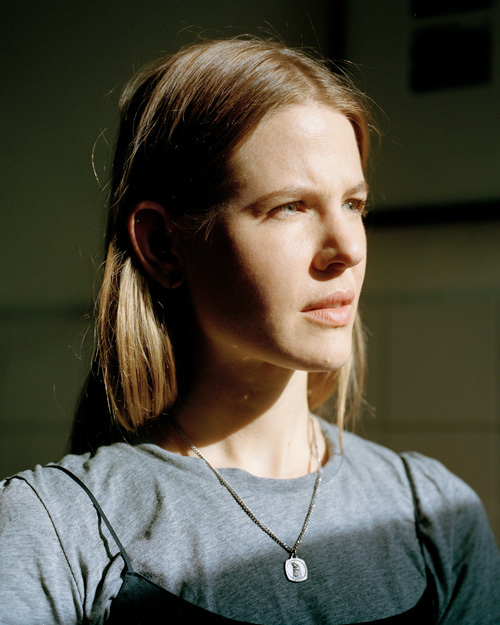 Aino Laberenz initially studied art history, before she – starting with the season 2001/2002 – assisted at the theatre Schauspielhaus Bochum, in the area costume design. She thereafter worked as a photographer and as a stage and costume designer at several houses, among others at the theatre Schauspielhaus Bochum, the theatre Schauspielhaus Zurich, the theatre Volksbühne Berlin, the theatre Vienna Burgtheater, the theatre Schauspiel Frankfurt, the Opera in Manaus, Brazil, the Bayreuth Festival, the Berlin State Opera and the Bonn Opera. In the production of the “Zwischenstand der Dinge (interim state of affairs)” by Christoph Schlingensief, she did not only design the costumes but also the stage set. Since 2004, she belonged to the team of Christoph Schlingensief and since 2010 continues the project Operndorf Afrika, which was initiated by Schlingensief. Together with the curator Susanne Gaensheimer, Aino Laberenz designed the German Pavilion at the 54th International Art Exhibition La Biennale di Venezia, in 2011 and was awarded the Golden Lion for best pavilion. Aino Laberenz is the editor of the Christoph Schlingensief-biography “Ich weiß, ich war’s” (I know, it was me), published by the publishing house Kiepenheuer & Witsch, in autumn 2012. In 2014, Aino Laberenz curated the Christoph Schlingensief-Retrospective at the KW Institute for Contemporary Art in Berlin, as well as the Schlingensief-Retrospective at the PS1 MOMA New York. In 2015, Aino Laberenz showcased her first solo exhibition in the Gallery of Modern Photography in Berlin. In this photo installation, she presented own shots that were taken during the filming of Christoph Schlingensief’s film project “The African Twin Towers”. In 2016, Aino Laberenz designed an installation of the Operndorf Afrika, within the framework of the Frieze Project at Frieze London. Raised in Gando, Burkina Faso, Francis Kéré (born in 1965), was the first child in his village, who was ever sent to school. After an apprenticeship as a carpenter, he received a scholarship from the Carl Duisberg Society, in favour of a vocational training, as a development aid worker, in Germany. As a consequence, Kéré also had the opportunity to catch up with his baccalaureate and between 1995 and 2004, was able to complete an architecture degree at the Technical University (TU) Berlin. His thesis, the construction of a primary school in his home village Gando was awarded the Aga Khan Award, in 2004, one of the most important architectural awards in the world. After completing his studies at the Technical University, he founded his own architectural firm (Kéré Architecture) in Berlin and realised numerous award-winning projects in Burkina Faso, Mali, Yemen and China, including the construction of several buildings in his native village in Burkina Faso. In 2011, Kéré received the Holcim Award Africa / Middle East, in 2012, the prestigious Global Holcim Award. He received the awards for the sustainable architecture concept of the school building he had designed and built, in his home village Gando, in Burkina Faso. It is equipped with a passive ventilation system, in accordance with the climatic conditions. The system is also a constituent part of the Operndorf Afrika architecture. Further prizes were, the Global Award for Sustainable Architecture of the Swiss Architectural Award in 2009, as well as the Marcus Prize for Architecture of the University of Wisconsin, Milwaukee, in 2010 and 2011. Kéré is a lecturer at the prestigious Harvard University (USA), currently he teaches as a design professor at the Università della Svizzeraitaliana in Mendrisio (Switzerland). His work has among others been showcased at the Museum of Modern Art, New York in the exhibition curated by Andres Lepik “Small Scale, Big Change. New Architectures of Social Engagement“, however most recently also in AFRITECTURE at the Architecture Museum of the Technical University (TU) Munich. Since 26th of November 2016 the internationally first solo exhibition of his architectural oeuvre is presented in the same museum.